Australia has more than 500 species of native dung beetles and 23 species of dung beetles introduced from Hawaii, Africa and southern Europe. 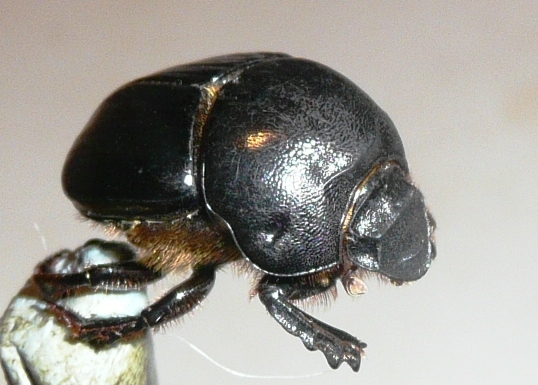 The introduced dung beetles are very useful in Australia’s agricultural regions. Where they are well established, these dung beetles bury large volumes of cattle dung, with many benefits for soil, water and pasture, as well as biological control of the bush fly. Most native dung beetle species eat marsupial dung (from kangaroos and wallabies) and they don’t process the moist dung of domestic farm animals very well. A few native species (mainly in southern Australia) can consume the moister dung of horses, sheep and cattle. 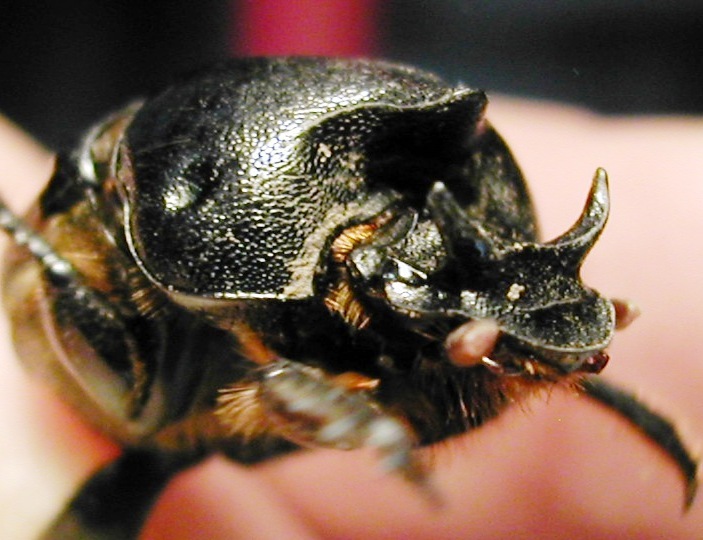 Bubas bison is an introduced winter-active dung beetle from southern Europe. It is established in pockets in Western Australia, South Australia, Victoria, New South Wales and Tasmania. In these pockets in winter this dung beetle buries cattle dung, horse dung and the soft winter dung of sheep. Adults are active during the wet season. They bury dung in tunnels under dung pads. The tunnels can be 50 cm deep when the beetles are in breeding condition. Adult females lay eggs in the tunnels. The young live underground until they are ready to turn into adults and emerge from the soil in autumn. When B. bison is plentiful, dozens can go to work in individual dung pads, which can be completely buried over a few days. They can bury most of the dung produced during the wet months of the year. When they are less abundant, the beetles in a dung pad can bury a whole pad over several weeks. B. bison can have a 1- or a 2-year life cycle. 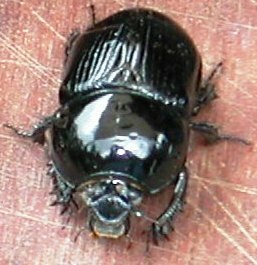 Adults of Bubas bison are large black beetles that fly at dusk and at dawn during the winter months in southern Australia. The males have two horns on their head but the females have none; the females have a strong ridge across the mid-section of the body. Sometimes, on small individuals, the horns on the male are quite small and one must look (or feel) carefully to find them. 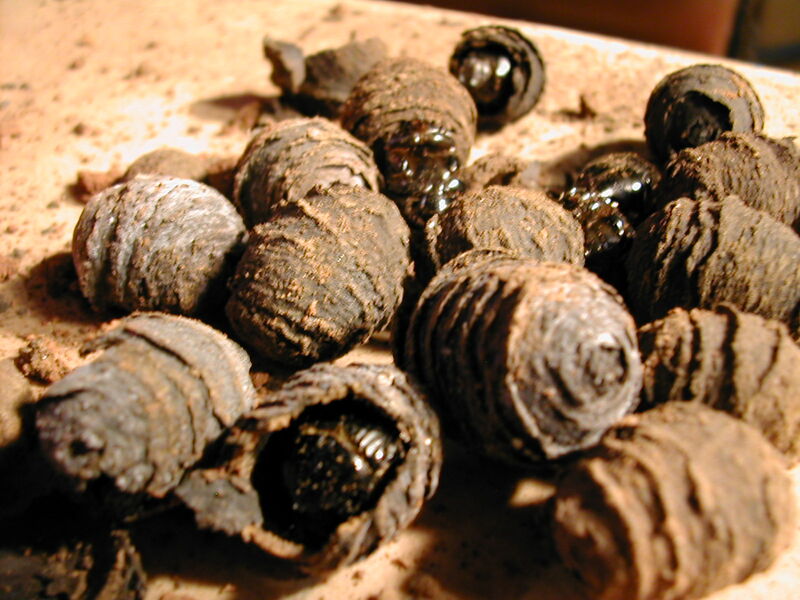 Geotrupes spiniger was introduced by CSIRO from southern Europe. It was released in NSW and is now well established in northern Tasmania and parts of Victoria. G. spiniger has a one-year life cycle. The dung beetle Copris hispanus occurs naturally in southern Europe and North Africa. It was released in Western Australia in the 1980s and the 1990s, and is established in low numbers in the Williams region of WA. 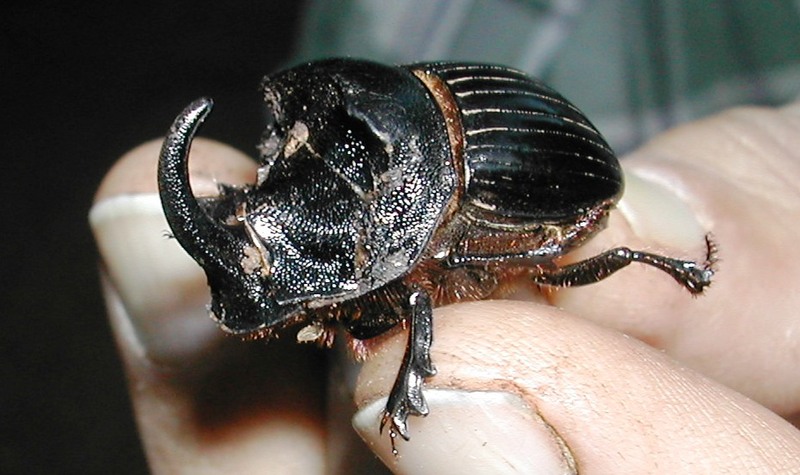 The deep-tunnelling dung beetle Onitis caffer was introduced to Australia from South Africa where its distribution extends from winter-rainfall regions to subtropical summer-rainfall regions. Scientific studies have shown that there are important biological differences between beetles from the two regions, and two strains are now recognised. The summer-rainfall strain and the winter-rainfall strain have been released separately in Australia. Both strains are established. Because of the biological differences between the two strains of O. caffer, it is important to maintain the strains separately in their appropriate environments. Thus it is important to obtain beetles for redistribution in winter-rainfall regions from regions that also have a winter rainfall. If beetles sourced from summer-rainfall regions are released into winter-rainfall regions, or vice versa, they are unlikely to establish well in their new home.